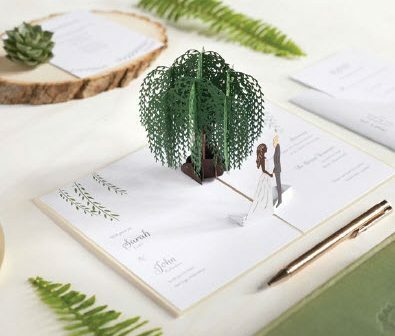 This invitation creates a lush, enchanted forest to mirror the setting of the wedding venue. The three-dimensional design is laser-cut and hand-assembled to create a stunning first impression. 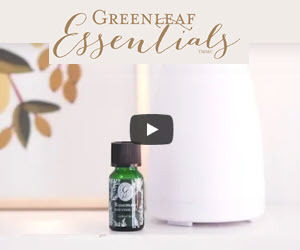 Guests don’t just get a glimpse of the celebration to come, they receive a keepsake that builds anticipation and excitement. 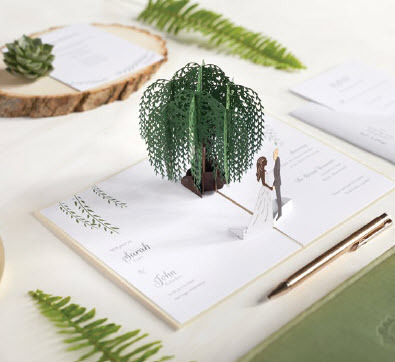 Invitations are 5″ x 7″.